Keep Healthy In The Surf. For Surfers. By Doctors. Imagine if sharks killed one million people every year. You would seriously think twice about paddling out at any location where there were reports of regular fatalities, and if you did still go you’d be likely to change your behavior. 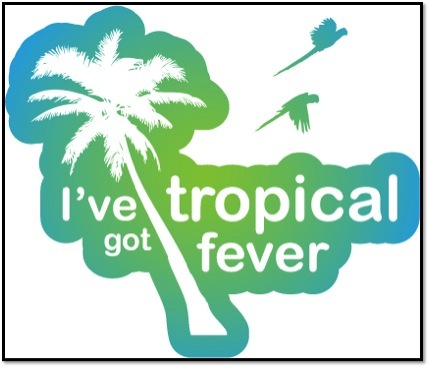 Why is it then, that when Mozzies are responsible for tropical fevers that kill this many people every year that a lot of us don’t give it much thought? Okay, so a shark bites may itch slightly more than a mosquito bite, and the overwhelming majority of deaths that occur are in local populations (kids under 5yrs), but the fact remains that if you go on a surf trip to a tropical country you’re far more likely to be killed by a tropical fever than from a shark attack. I know four English people that have malaria. How many friends do you have that have been attacked by a shark? Malaria is a parasite that has been killing us since humans first walked the planet. So it knows what its doing! There are 5 main species but the main two to watch for when you plan your trip are P. falciparum & P. vivax. 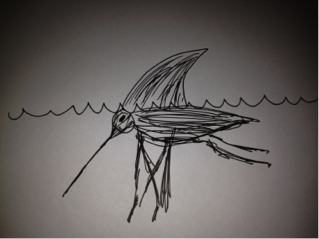 The parasite spreads via the female of a species of night biting mosquito. P. falciparum is responsible for almost all of malarial deaths and P. vivax is the one that can crop up whilst you’re checking the surf at your home break 6 months later. And then keep cropping up.. That might sound cool, like a Padang scar, but try it on when you’re in your 60’s. Not so cool. Malaria is a grave threat to millions of peoples lives globally. There are huge initiatives internationally to try and remedy this by different means. If you are interested to find out more about Malaria and the issues surrounding it there are now traditional and online programs available from many accredited academic institutions and universities. Understanding an issue can often be the first major step to helping combat it. Dengue fever is a virus that is also carried by mosquitoes. The virus wrongly received a lot of media in the surf industry recently due to it alleged responsibility for the sad death of Andy Irons. It’s known as ‘breaking bone disease’ because the people who get it can end up in so much pain they feel like all their bones are breaking! There are 4 different strains of the virus, and having ‘caught’ one of them before makes subsequent infection with another much more serious. In 2010 it is estimated that between 50-100 million people worldwide caught Dengue, with estimates of half a million dying. If you’re really unlucky (like Ben Player) you can go on to develop ‘Dengue Haemorrhagic Fever’. Fighting the illness basically knackers your liver & destroys your bloods ability to clot normally. This unfortunately can lead to you literally bleeding to death. Dengue can unfortunately make you literally bleed from your eyes. Unlike Malaria there is no cure. You’ve just got to try and sweat it out with fluids and paracetamol. WHAT SHOULD I DO BEFORE A TRIP? Tell EVERYONE who’ll listen that you’re going abroad to score sick warm barrels while they’re slogging out winter here. This is important. Get medical insurance. You’re an idiot if you don’t. If you’re in anyway like me you’ll spend hours on the internet creaming over pictures & videos of the surf planning your trip. Spend 10 minutes on http://www.who.int/malaria/travellers/en/ and read their annual update (click on ‘International travel and health’) on which type of malaria is where, and which drugs you should be taking. This is the website that the travel nurse at your GP surgery uses for reference. As a general rule, If you can surf there without a wettie (excluding Oz) then they have malaria. Go to your GP early armed with a list of all the vaccines/boosters (Hep A is a must) that the World Health Organisation (WHO) recommends for your destination at that point in time, and the name of the anti-malaria drug(s) you’ll need. They’re likely to give you a private prescription, which generally cost more than a NHS prescription. As far as I know Superdrug is the cheapest place to pay for private prescriptions. TAKE YOUR PILLS. All drugs have side effects and all people respond differently. Take them early as directed to check that you can tolerate them. Basically watch your mood, and look forward going to sleep because it’s like going to the cinema!! Take long sleeve tops/light trousers. Pack a mosquito net and take repellent. Be aware that sun cream with anti-mosquito additives used in the sea is really bad for reef ecosystems. Just a thought. A week of binging to say goodbye/rub noses in to everyone before you leave is not necessarily a great idea. Give your liver and body a chance to get match fit. Causes vivid dreams. Probably best avoided if you’ve got a history of mental illness. WHAT TO DO DURING A TRIP? TAKE YOUR PILLS! If your gran can keep on top of her daily pills then so can you. That doesn’t mean taking them in between jungle-juice induced spews either! Taking them doesn’t guarantee not getting malaria because the virus mutates quickly. 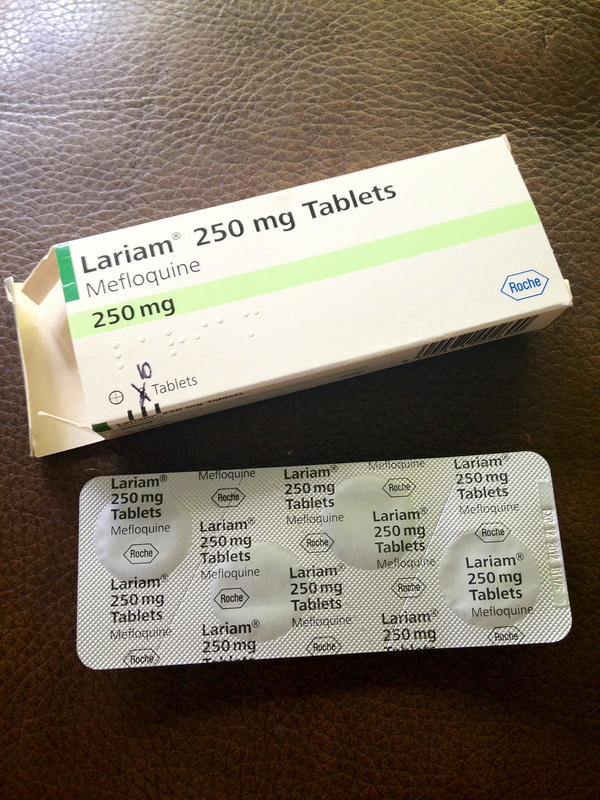 Not taking them regularly or not taking them at all however is proven to significantly increase your risk of contracting Malaria. Don’t sleep next to a swamp, or any stagnant water. Rubbish holds a lot of water on it. Sleep behind nets (impregnated ones are shown to be better). Beware passing out hammer drunk & exposed. Use repellant. Use it as a second skin. Cover up evenings/night and early morning. Leave your net and left over repellant behind for the locals. You never know, it could be the best gift you ever give. If you’re ‘making friends’, use condoms. Malaria isn’t a STD but Hepatitis and HIV are common in developing countries and Kill. Things you’ve got in your favour are that you’re not malnourished. You’re a chubby Brit with medical insurance to help bail you out if you need, and importantly your mates feel great! 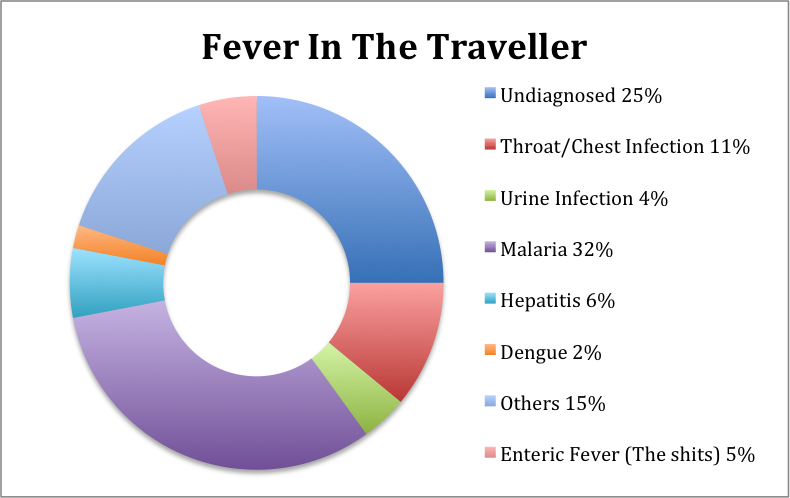 A publication to GPs in the US estimates that 37% of short-term travelers experience a health problem during a trip abroad, and of 11% of travellers suffer from an illness with fever. So be aware of your health and those you’re travelling with. Don’t panic at the first sign of illness, but be sensible. Make contingency plans early. A friend told me her account of ‘when she almost died from Malaria’ and her friends (medical students) forced her to go to the nearest doctor who was a couple of days away whilst she was in a persistent feverish state. They ended up eventually carrying her in to the doctors virtually unconscious. She was very lucky. 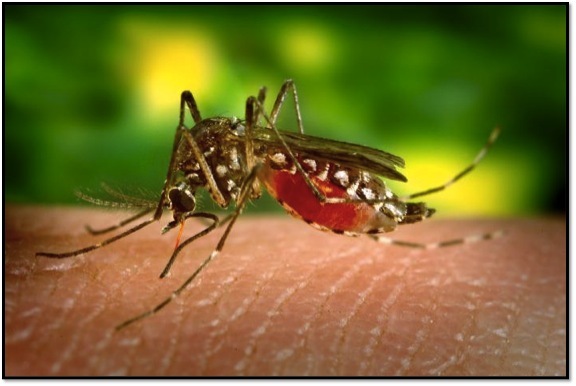 WHAT ARE THE SYMPTOMS OF MALARIA & DENGUE FEVER? Basically you name any symptom (including those caused by liver failure, kidney failure, coma & death!) and Malaria can cause it. The symptoms you have depend on your bodies reaction to it. Chances are though that you’ll feel worse than you’ve ever felt before, and you’ll literally be shaking with fever. Malaria can kick in at any point after a couple of weeks. Dengue is a bit quicker at kicking you into touch. Early signs apart from fever are severe muscle ache/pain, and pain behind your eyes made worse by moving them. It also quite commonly has a rash that looks like measles. Being ill on a trip and having a fever doesn’t mean you have a Mosquito born virus. A lot get better on their own and never get diagnosed. Some are caused by less exciting illnesses we get here in the UK like chest infections and the flu. Don’t forget that your illness could be a sign that the reef cut you’re been nursing, and watching with fascination getting bigger day by day, is getting funky! Fever patterns (how long it lasts, when/if it returns) can help indicate the disease, but are not diagnostic. Any Fever returning after a day or so should be treated seriously. If you’re worried then seek medical advice. A good general rule in medicine is that early diagnosis and treatment usually leads to a quicker and better outcome. Apart from the preventative measures, this really is the most important point. The key to treatment is diagnosis. In the UK we are understandably crap at diagnosing foreign illnesses compared to our foreign colleagues. If you visit a Dr abroad that has spent their career diagnosing and treating tropical illnesses, then chances are you’ll get a quick and more accurate diagnosis. If you get ill when you’re back within 6 months or so (or longer if you’ve been ‘making friends’!) remember that it may not just be something you’ve picked up here in the UK. Malaria treatment involves high doses of anti-Malarials in hospital, and Dengue Fever is bed-rest with fluids and Paracetamol. Paracetamol is a great drug for reducing any fever and worth packing with antihistamine tablets for bites and stings, along with rehydration salts. Remember that if you don’t take the anti-malarial tablets regularly and don’t protect yourself from Mozzies, then you’re playing roulette with your health. I know that anti-malarials can make you feel grim sometimes, but they do work most of the time. There is research going on to make better ones, but not enough. At the moment there is more cash invested globally in developing new anti-baldness drugs than anti-malaria ones! We can all probably think of times when not having put a leash on our board could of had us on a really sticky wicket. An action, which it’s easy to see the benefit from. I’m 100% confident that there are people that will read this (scaremongering) article that would have been severely ill, if not dead, had they not been sensible and already followed the advice above. It’s hard sometimes to appreciate the benefit without seeing it. Worldwide charities appreciate it and that’s why there’s an international drive to provide mosquito nets to people in affected areas worldwide. So in conclusion, Mosquitos are evil and deserve to die! Make sure you check with your GP before you take pills, especially if you have any kind of medical condition. This article should only be used as a guide. There is no substitution for being examined and treated by a medical professional. The intention of the articles on this website is to inform anyone who reads it of medical issues encountered on surf trips.This website is designed to provide general practical information not specific medical advice.